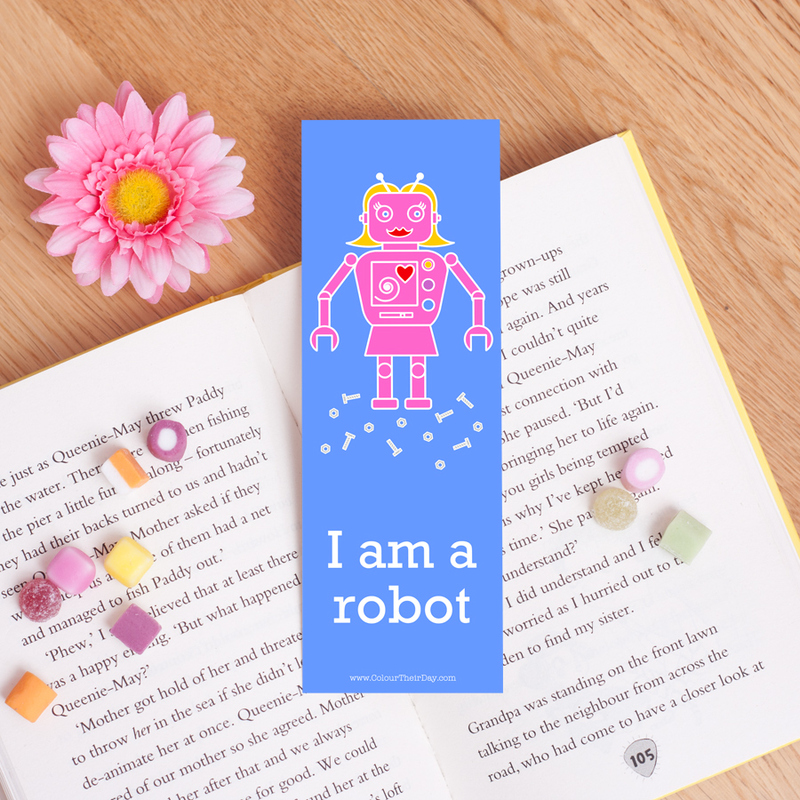 This robot girl bookmark is a humorous and colourful bookmark that will appeal to both young and old. An excellent gift that will hopefully raise a smile! The bookmark is double sided so is very thick and robust. The design features a cute girl robot on one side, with the text ‘I am a robot’. On the reverse side there is an image of the robot from behind as she experiences an embarrassing moment, with the text ‘Error Wardrobe Malfunction’. The background colour is a brilliant blue. Be the first to review “Robot Girl – Wardrobe Malfunction – Double Sided Bookmark” Click here to cancel reply.